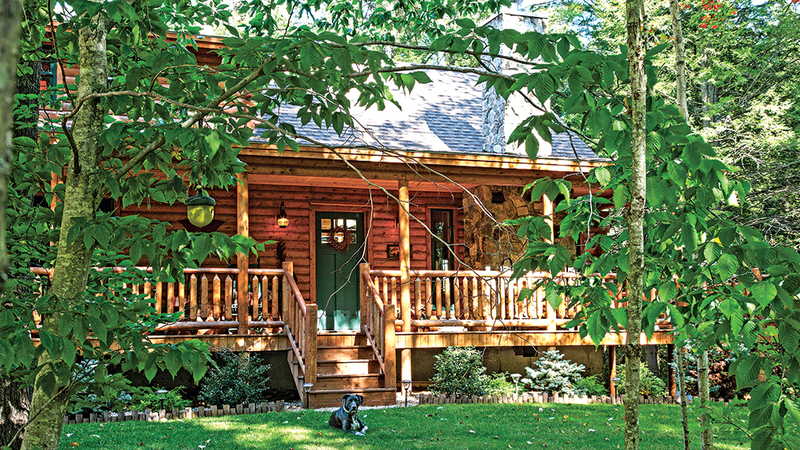 Owning a vacation cottage or cabin is a dream many people hold close to their hearts, but how to take it from wish to reality is the big question. Timing, budgets, distance … these are all factors that come into play. Systems-built construction could be the answer. What is a building system, you ask? Many cabins and cottages are systems-built. Encompassing everything from log and timber-framed cabins to walk-in ready modular homes, building systems are prevalent in residential construction, and you probably don’t even realize it. In a nutshell, a systems-built home isn’t a style, it’s a process. Building systems do for housing what the assembly line did for automobile production: It streamlines the construction progression, improves quality control and minimizes waste, all while reducing costs and making homes more affordable. Using highly engineered construction methods, modular, panelized, concrete, log and timber frame home manufacturers create everything from individual components to entire structures within a controlled environment, resulting in houses of the highest quality that don’t just meet, but often exceed, code requirements. A systems-built home offers both the builder and the homeowner a host of advantages — most of which equate to cost savings either in labor, materials or both. The majority of systems-built home manufacturing happens at the factory or mill using highly experienced, full-time staff to construct and install its components. This method greatly reduces the number of onsite subcontractors your project will need in a time when skilled labor is hard to find. On average, it only takes two days to set a modular home on its permanent foundation, while traditional onsite construction can take weeks or even months. Likewise, a log or timber cabin can be raised in a few days to a week, depending on its size. In fact, onsite build time can be greatly reduced using any component-based system, which saves money on labor. And if you’re building a retreat far away from your full-time home, this condensed time frame could enable you to be present for the entire process. The controlled environment systems-built construction utilizes means fewer delays due to weather or material delivery and enables builders to establish a more predictable and consistent building schedule. Again, this can save you time and money. There’s a misconception that systems-built homes are inferior in regard to quality, but nothing could be further from the truth. Log, timber, modular, concrete and panelized homes are built to the same local building code standards as stick-built homes. In fact, to withstand the rigors of ground transportation, modular and panelized homes often exceed standards set by local jurisdictions. Concrete homes are rising in popularity due to the sustainable properties of the building material and their strength in the face of natural disasters. Don’t forget log and timber homes are certified for structural integrity by a third-party inspector before they ever leave the mill. There’s a lot of waste in traditional, site-built construction. Systems-built homes are built in a more environmentally sound way. The process significantly reduces waste, and any scrap that is generated is collected, then reused or recycled. Plus, there’s usually less environmental disturbance on a systems-built job site, so you’re better able to preserve your home’s natural habitat. Just like people mistakenly believe that the quality of a systems-built house is inferior, they think that their design choices are limited — that these are “cookie-cutter” houses, and every one looks the same. Again, this is a misconception. Like pieces of a puzzle, log, modular, timber or panelized components are shaped to fit a specific, customized design and, when assembled, result in a beautifully completed picture. So if you’re inspired to create your own dream cabin or cottage, give some thought to building systems. It could mean less hassle, more savings and, most importantly, a getaway you’ll cherish for a lifetime.